You could never accuse us of not taking our veg seriously. Perhaps a little too seriously when it comes to potatoes? Certain co-op members in particular could certainly be described as potato ‘enthusiasts’. But honestly, a spud isn’t just a spud, so here we make an attempt to turn our obsession into a useful guide for choosing a potato. Of course, we don’t carry all these varieties at the same time! But we generally have at least 8 varieties to choose from. Bear in mind, a potato’s characteristics can change quite a lot from when it’s new (with a flaky skin and fresh sweet taste) to when skins are set after storage. So for the types of spuds that we get as ‘earlies’ (new potatoes) and also sell later in the year, these descriptions refer to the characteristics that emerge once they have been stored for a little while, aka through autumn and winter, the bulk of spud season. 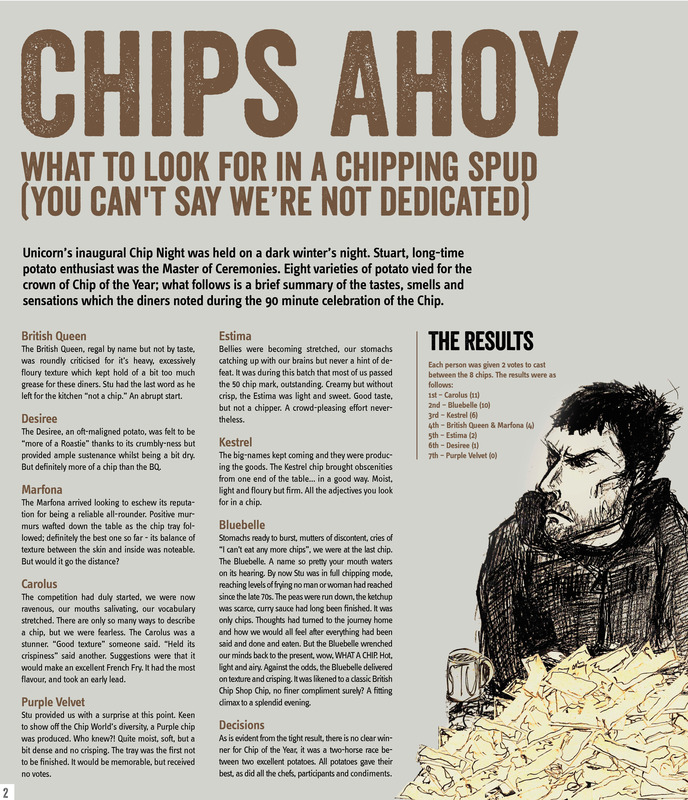 If you’re looking to create the perfect chip, check out the round-up of the most suitable varieties at Unicorn’s chip night (yes, really). Accent: Smooth and creamy yellow flesh. Great for roasting and mashing. Alouette: Waxy all-rounder, equally at home in a smooth mash or as a salad spud. Nutty flavour. Arran Victory: Purple-skinned heritage variety with floury flesh. Great taste, especially good mashed or roasted. British Queen: Flavoursome heritage variety with floury flesh. Cara: Light, soft, waxy flesh. Boils (and stores) well. Good general use potato. Casablanca: Smooth skinned, creamy fleshed potato. Holds it’s shape and flavour well when cooked. Good roaster. Carolus: Recommended for roasting and chips – floury flesh with high dry matter content. Charlotte: Flavoursome waxy salad potato. Excellent in curries too. Staff favourite. Colleen: Classic first early. Waxy firm flesh holds shape when cooked, boils well, and a good salad option. Cosmos: Flavoursome, waxy all-rounder. Bakes particularly well. Desiree: Crumbly texture… boil, mash or chip. Estima: Light, earthy and sweet. Well suited to wedges or jacket potatoes, but also a nice light roaster. Gatsby: Waxy all-rounder. Great for baking. Gladstone: Floury and flavoursome heritage variety. Excellent for roasting. Jersey Royal: One of the earliest UK spuds, the trade name for the variety ‘International kidney’. Small, firm and waxy. Kestrel: Sweet, creamy, and slightly floury all-rounder. Mashes well. Lady Balfour: Dense, waxy sweet flesh. Quite versatile, but particularly suited to boiling. Lady Crystal: Buttery and flavoursome first early. Marfona: Reliable waxy all-rounder. Perennial customer favourite. Manitou: Moist with a hint of flouryness. Good mash. Maris Peer: Firm & flavoursome second early. 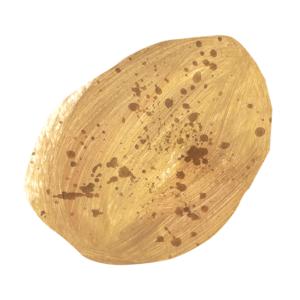 Maris Bard: Buttery, flavoursome, creamy white waxy flesh with Ulster Prince parentage.Everything you could ask for in a new potato! Nicola: Small, firm, waxy potato with yellow flesh. Great for curries or salads. Orla: Smooth, sweet and slightly earthy. Flavoursome waxy all-rounder. Robinta: Creamy red-skinned all-rounder. Retains its shape well. Particularly good for boiling and mashing. Romano: Soft, dry texture. Recommended for mash and roasties. Rudolph: Light, fluffy, earthy flesh chips & roasts well. Picasso: Smooth sweet flesh makes melt in the mouth mash and roasties. Pink Fir Apples: Novelty knobbly salad spud. Delicious, slightly sweet, nutty earthy flavour. Sante: Dry firm texture suited to chips, wedges and roasting. Setanta: Good all-rounder, smooth red skin with yellow flesh. Stroma: Firm flesh that holds its shape well. Good for boiling & stews etc. 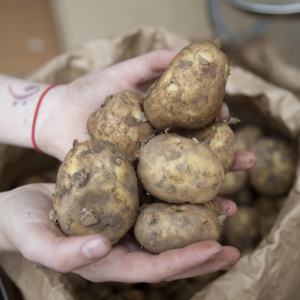 Ulster Prince: Classic first early traditionally grown in Lancashire potatoes. Firm and waxy. Ulster Sceptre: Like the Ulster Prince, but slightly more delicate. Valor: White & fairly waxy flesh. A great baker that’s also good for mashing and roasting. Wilja: Waxy without being too dense and firm, smooth and light. Boils & bakes well.